We love Sunday morning breakfast at the Point. 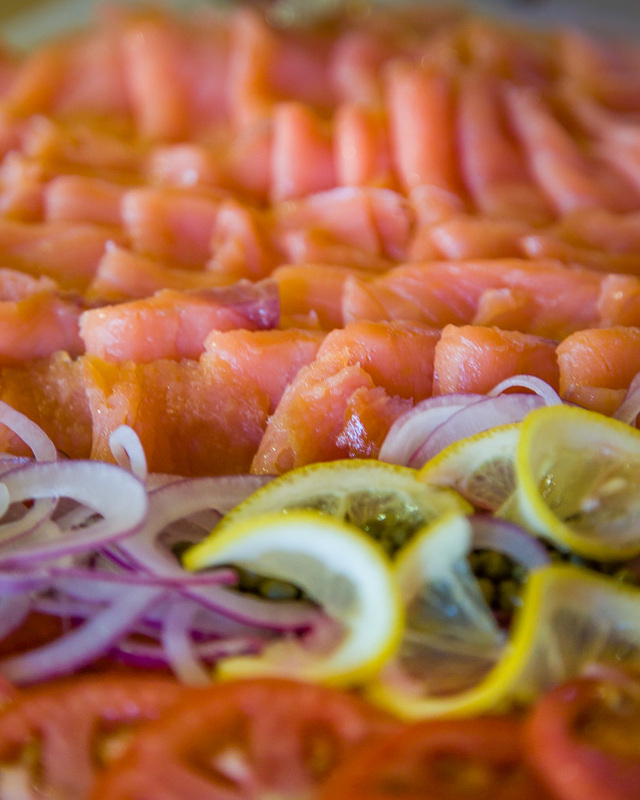 Beside our famous chocolate chip muffins and our full breakfast menu, we love our best quality smoked salmon served with sliced tomato, a little sliced onion and capers. The white fish is also a hit with our selection of freshly baked New York bagels and freshly baked bialys.